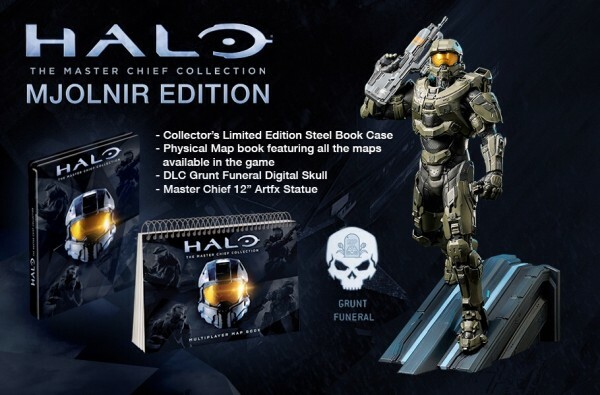 UK retailer Game has announced a special “Mjolnir Edition” of the upcoming Halo: The Master Chief Collection for Xbox One. 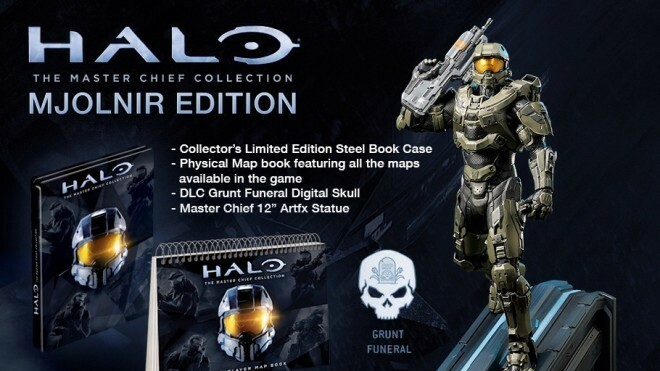 Now available for pre-order, the package contains a Steel Book Case, a Map Book featuring all the maps available in the game, the Grunt Funeral Digital Skull DLC, and best of all, a 12″ Master Chief Artfx Statue. The popular video game character Master Chief wears his iconic MJOLNIR Powered Assault Armour and strides down a high tech ramp in a Forerunner facility. The Chief carries his trusty Battle Rifle, and two sets of interchangeable arms let you pose the soldier with the weapon at the ready or held over his shoulder with a grenade in his other hand! The intricately sculpted heavy duty armour captures every detail you know from the games with screen accurate green and grey colorations along with the bright gold of Master Chief’s face shield. There’s even limited articulation at the neck and waist so you can create your own poses! Sculpted by M.I.C., Master Chief stands nearly 12 inches tall and makes for a perfect centerpiece for your HALO collection. Halo: The Master Chief Collection compiles every Halo game featuring Master Chief on one disc, including the original Halo: Combat Evolved multiplayer, Halo 2 Anniversary, and over 100 Halo multiplayer maps, all in 1080p and 60 FPS. It also packs in Ridley Scott’s upcoming digital series, Halo: Nightfall. It all hits Xbox One this November 11.